This salad was love at first bite, but I didn’t realize JUST how great of a recipe we had on our hands until Uncle Bee wanted seconds!!!! He has never wanted seconds of a salad before. This is definitely a man friendly salad. It may even be my new FAVORITE salad. 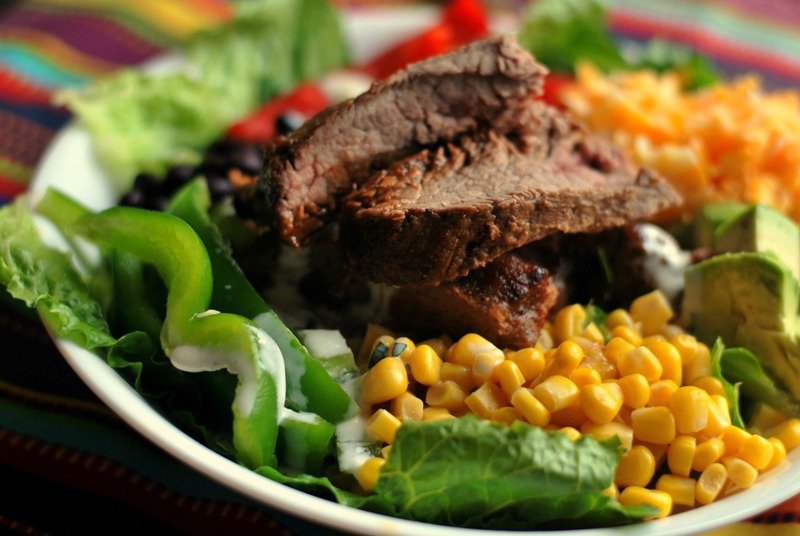 There are a few steps involved since you are making the dressing from scratch and the marinade, but I did both of those in the morning so come suppertime, all I had to do was grill the flank steak and chop veggies! Place flank steak inside large ziplock bag. pour the rest of the ingredients inside the bag and move it around a little to combine everything. Refrigerate for 8 hours or overnight. Grill or Broil when ready. Let rest for 10 minutes before slicing against the grain. Combine all ingredients in a jar with a lid and shake well. Refrigerate until ready to use. 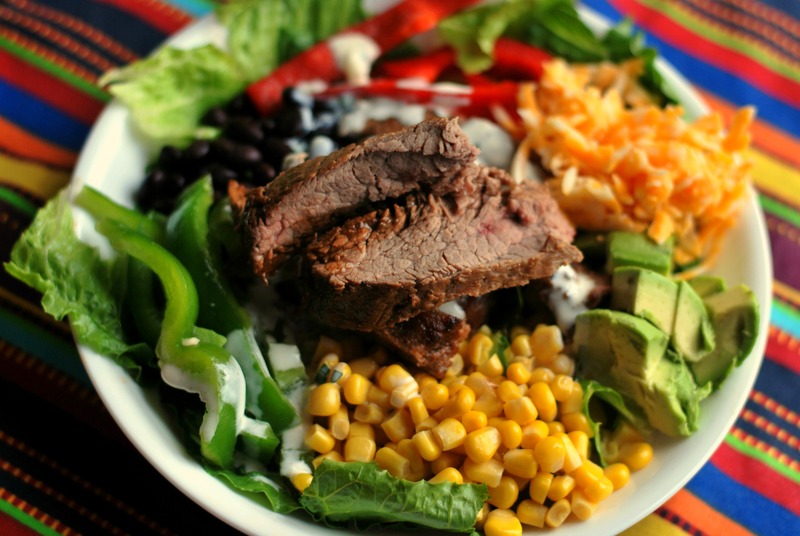 For the salad, I used Romaine lettuce topped with Southwest steak, corn, black beans, avocado, red and green bell pepper, onion, colby jack cheese shredded and blue corn tortilla chips, all topped with the delicious cilantro lime buttermilk dressing. Well I am just super glad you called this one ‘man friendly’ the issues I have with serving my man salad is spectacular! But this definitely looks a winner Brandi, nicely done! Wonderful recipe! I love the steak and the fact that you made a homemade dressing! It looks fantastic and I know my man would truly enjoy this man friendly salad!! Yum!! G’day This looks and sounds terrific Brandi! Wish I could try it now! My husband loves salad and this manly version would do well in our home.